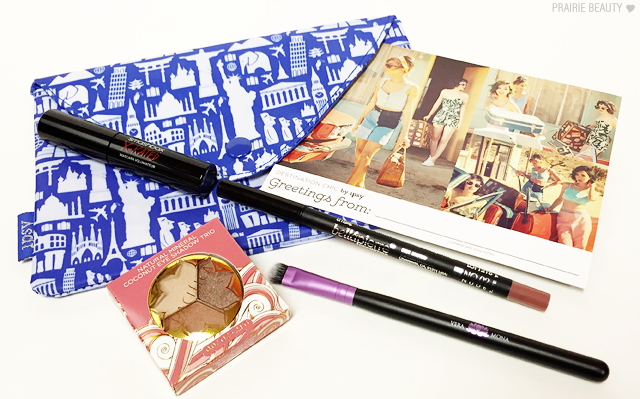 If you guys read my Ipsy Spoilers for this month, you'll know that I wasn't over the moon excited about this month's bag, but that I always stay optimistic because sometimes the months I'm not all that excited about have some real gems in them. One thing I will say for this bag, which is always a plus for me, is that it is very makeup heavy. Those are my favorite types of bags, not only because I have enough skin care samples in my collection at this point to sink a ship but also because makeup products are absolutely the most fun and oftentimes Ipsy provides products that I would never think to pick up for myself. So without further adieu, check this month's bag - including a pretty epic fail! Quite some time ago, Ipsy included single shadows from this line in their bags and I remember being pretty unimpressed overall with the formula, but I was willing to give it another shot. 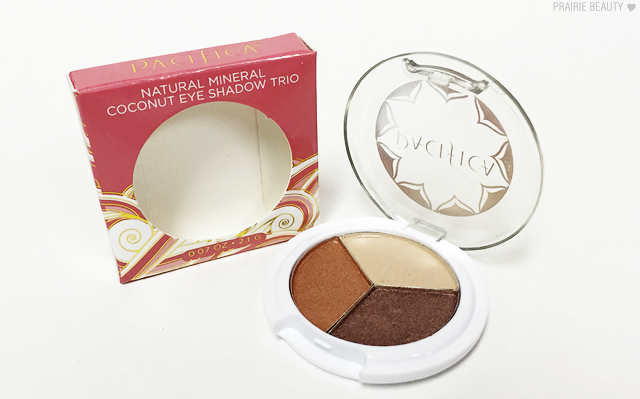 While these aren't the most pigmented shadows and any look you get from this trio alone will be quite soft, the taupe shade (which is pulling a little bit deeper in the photos) is absolutely gorgeous and I do think I'll get wear out of it. This isn't a huge winner for me, but I'm not mad at it either. These also have a really soft coconut water scent that you pick up if you sniff in real close, which is kind of cute. Honestly, I was a little disappointed to have gotten this, even though it's a good sized sample of a high end product. I just have too many mascaras on the go at any given time and this is going to get thrown into the use later box. I also wasn't really interested in trying out this mascara because I haven't heard the best things about it and am not sure that it'll be to my taste, but mascara is one of the most subjective products in all of makeup so I'm not counting it out. Look for it in a future Stuff I Tried post! First off, I can't actually find this brush for sale anywhere, so the value is based on the dual ended brush that Vera Mona sells. I could have cut it in half, since this is a single brush, but I just went for it. 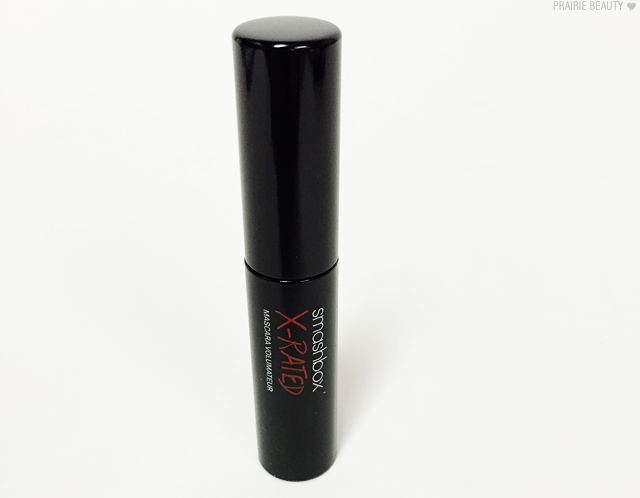 This is a nice little brush and does a good job of applying smoky shadow to the lower lash line. It's not a hugely exciting brush, but it's definitely one that I'll get use out of. The duofibre bristles are quite soft and it easily diffuses color so there are no harsh lines. It's weird to me that this isn't QUITE a full size product. It contains 0.05oz of product and the full size contains 0.06oz of product. This shade is really quite nice and I think a lot of people will get good use out of it. The first time I tried it, however, it snapped clean off when I was about half way finished my application. I haven't gotten a chance to sharpen it and try it again. I've got high hopes for the formula though, so look for it in a couple weeks in a Stuff I Tried post! Annnnnnnnnnnnnnnnnnnnnd as you can see, I've got some real nice empty packaging here that was supposed to be a fragrance sample from Remarkable People. 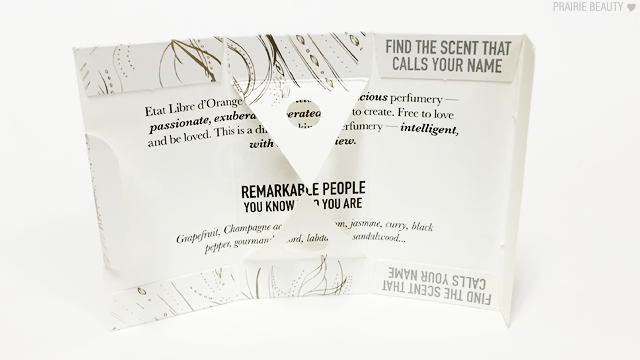 While the scent doesn't seem like something that will be up my alley, I was interested to smell it and I was a little bummed to find that it simply was not included in my bag - I even searched the envelope to make sure that it hadn't just sneaked out of the bag somehow. Luckily, as has been my experience any time I've need to contact IpsyCare about a problem, they were prompt in getting back to me and did let me know that a replacement will be sent out right away. I'm not including this in the post, however, because I really can't say anything about it or assess a value, but also because it wasn't in my bag so it really doesn't count. Weird oversight, right? 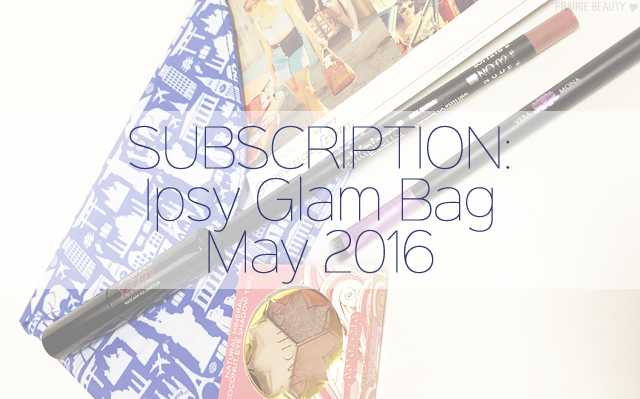 In case you aren't familiar with Ipsy, it's a subsription service that costs $10US per month (plus $5US shipping for us Canadians) and includes 5 deluxe or full sized products in each month's bag. I've been a subscriber as long as they've been available in Canada though not every month's bag is a winner, I'm still happy to keep getting them! If you're interested in signing up, there is currently a very short window in which there'll be no waitlist, so head over to Ipsy and sign up for your first bag!